Firehouse Brewing Co. is a brewery located in San Diego CA. 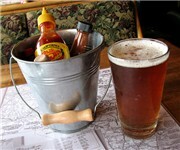 Comments for Firehouse Brewing Co.
How Would You Rate Firehouse Brewing Co.? Breweries near Firehouse Brewing Co.